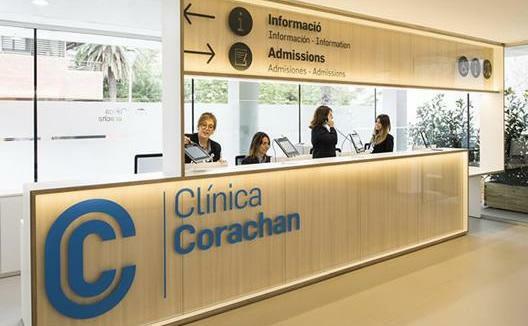 This year we’ve opened Corachan Nord, a 1,500 m² outpatient building located on Tres Torres Street no. 7 to which the specialities of internal medicine, paediatrics, dermatology, cardiology, pneumology and allergies have been transferred. All the building’s handles have received a permanent antibacterial treatment. Created from recycled solid copper, it can be applied on many media. Copper is a powerful antibacterial, which is harmless to people and particularly adapted for the eradication of bacteria, germs and viruses. This makes this handle ideal for installation in hospitals, as well as in any public building. Thanks to this antibacterial handle, an improvement in the quality of life of citizens and maximum respect for the environment is guaranteed. The materials used in this building are Friendly Materials, a tool that enables an objective, individual and comprehensive evaluation of how indoor spaces affect the health of their occupants, considering the construction materials used in those buildings. The entrance and reception area of this centre have been analysed under the strict criteria of the Clear Code, obtaining a gold medal with an excellent score as a result of the universal accessibility features of the space audited. Clear Code is a methodology that objectively designs and evaluates the level of universal accessibility of a public space, a building or a room of any construction, assessing the number of measures taken to facilitate autonomous use of the space by all people, whatever their limitations.